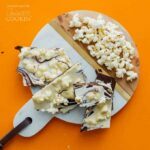 Popcorn Chocolate Bark: a crunchy, salty, and sweet snack! Tis the season for giving food as gifts! 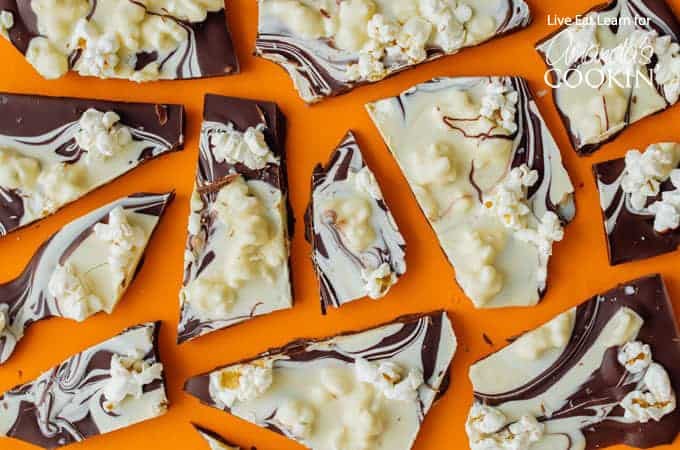 And if there’s one unique and delicious gift you should give this holiday season aside from fudge, it’s this Crunchy Popcorn Chocolate Bark. Every other week I feature a different ingredient on my food blog. It’s a way for me to explore seasonal ingredients and find new ways of cooking with them. At this point, I’ve featured almost all of the major ingredients, from apples to zucchinis, so this fall I thought it would be fun to turn the spotlight to popcorn! 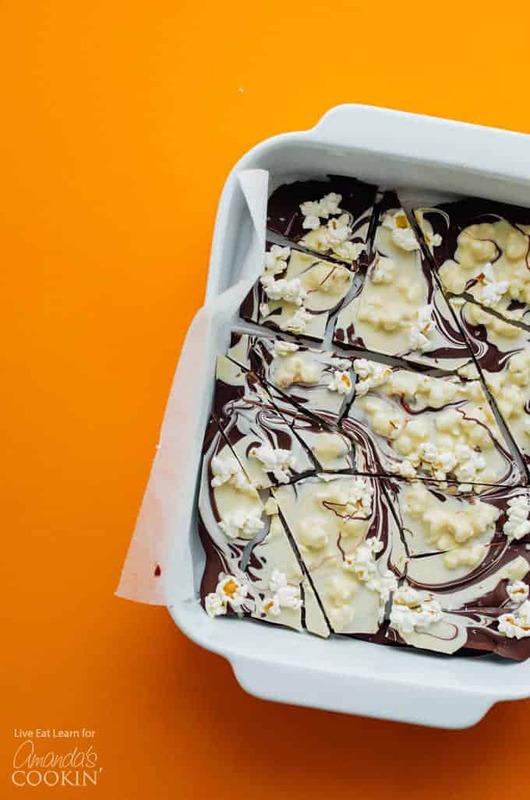 Making this Crunchy Popcorn Chocolate Bark is insanely easy. You’ll just melt your chocolates in separate bowls. 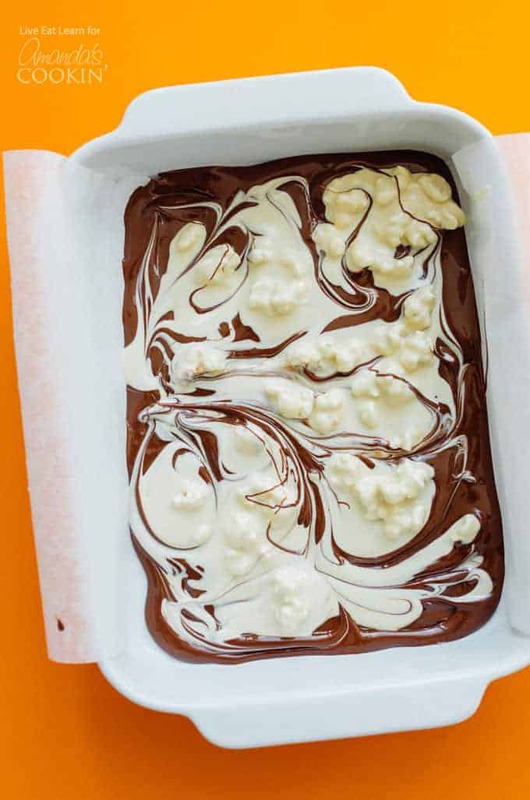 Mix some of the popcorn in with the white chocolate, then swirl the two chocolates together on a baking sheet. Sprinkle with more popcorn and sea salt then throw in the fridge to firm up. 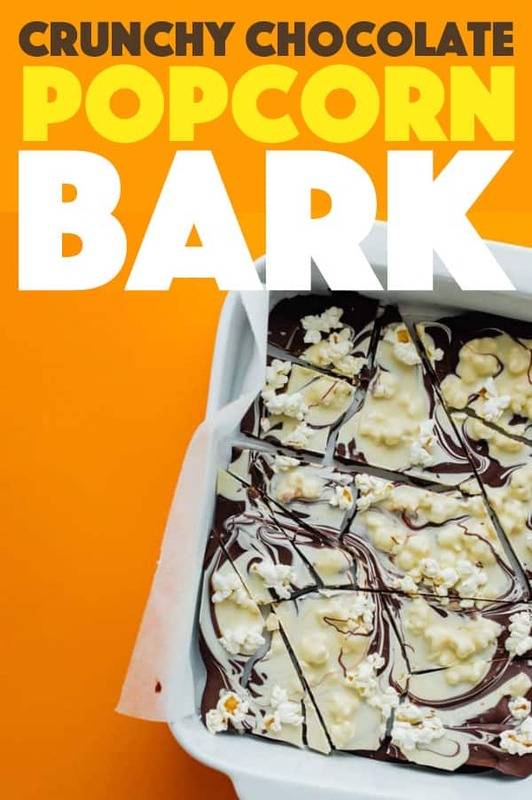 The best thing about chocolate bark is that, in addition to being so easy, it’s flexible to whatever ingredients you have on hand, so feel free to throw slivered almonds or dried berries on as well. Then just break into pieces and enjoy! I like to keep it in a container for a sweet treat to munch on, or gift stacks of it during the holidays. 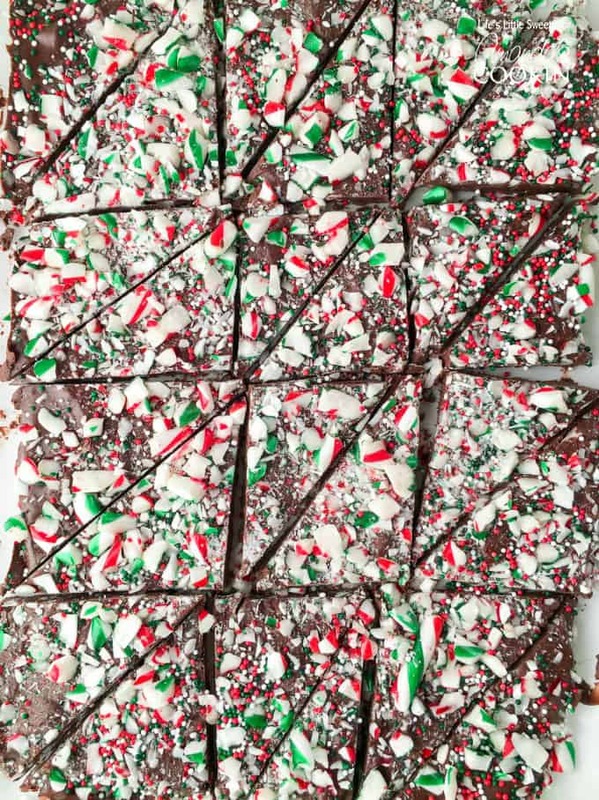 Peppermint Candy Cane Bark makes another delicious edible gift for the holidays or is great for big family gatherings! 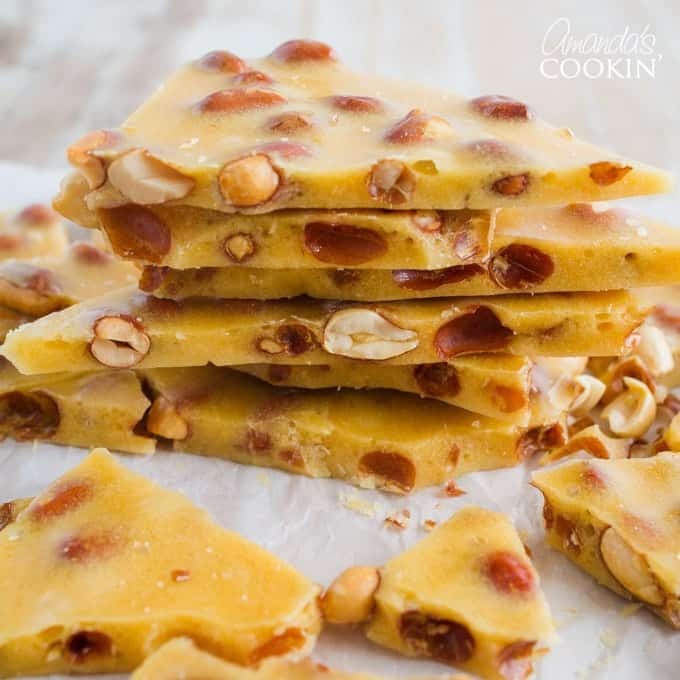 What’s better than a homemade batch of Peanut Brittle during the holidays? This delectable candy treat will become your family’s favorite tradition! 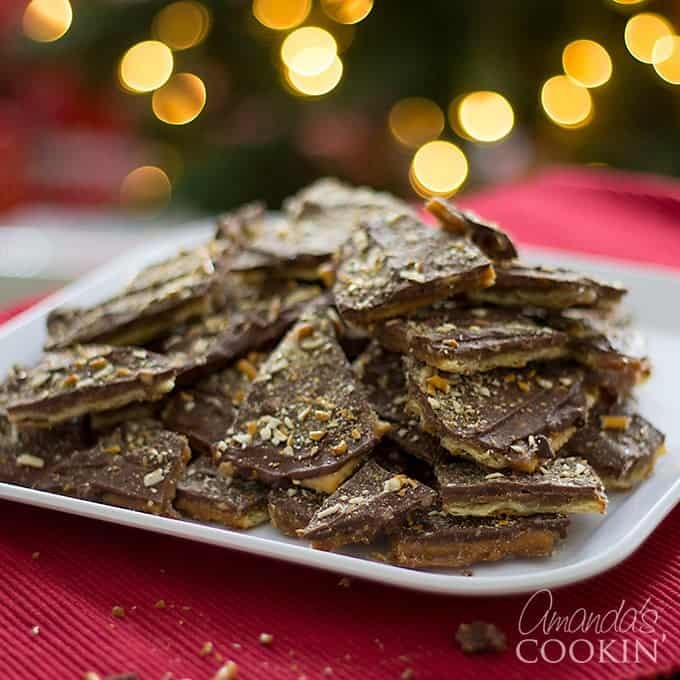 And last but not least, Christmas Crack – Saltine Toffee with pretzels on top makes an addictive dessert that everyone will devour. 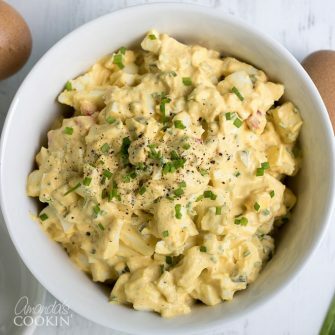 You may want to make a double batch! Tis the season for giving food as gifts! And if there’s one unique and delicious gift you should give this holiday season, it’s this Crunchy Popcorn Chocolate Bark. Line a large 9 x 12 inch rimmed baking sheet or pan with parchment paper. Bring a medium saucepan of water to a boil. Place dark chocolate in a heatproof bowl and set just over the boiling water (the bottom of the bowl should not touch the water). Stir chocolate until most of it has melted. Remove from heat and continue stirring until all pieces are melted. In a different bowl, repeat melting process with the white chocolate. Stir half of the popcorn into the white chocolate. Pour the dark chocolate into the prepared baking sheet, spreading evenly over the sheet. Drizzle white chocolate mixture on top. Use a knife to create swirls in the chocolates. Sprinkle evenly with remaining popcorn and sea salt. Set in the refrigerator to chill until hard, at least 30 minutes. Break bark into pieces either by hand or with a knife. Store leftovers in an airtight container in the refrigerator.